"Play in a team and beat your enemies in this free game which mixes real-time strategy and RPG." Based in a fantasy world, the League of Legends or LOL offers combats between two teams formed by 5 players (or bots). In each one, every player manages its champions from a catalogue of more than 110. This game is based on DotA, a mod of Warcraft III which after its success derived in completely independent games. Your ultimate goal in League of Legends is to defend your “Nexus” while you try to destroy the one of the opponent team. The winner is the one who achieves destroying it. This element is in the zone of each team. Among both points there are various ways in League of Legends to choose and towers behind which hide the monsters created by the opponent team. There is also a series of neutral monsters which attack both teams, by doing so the team will be able to win objects and gold for gaining experience and power of our champions. After you get the League of Legends download, there is a tutorial mode for getting to know the game before starting to play with others, as there are many cases of quite susceptible people who take this game maybe just a little too seriously. League of Legends has global tournaments which derive in finals where big sums of money can be won. In fact, it’s one of the games basing on which tournaments, conventions and LAN parties of the last years are being organized. There is a very large community behind the tournament fanbase of the game. In fact, it is the largest known video game fanbase in the world, and still growing. This is because of the strategic nature of the game and the addictive gameplay associated with playing with or against your friends. There is large encouragement in the game for community gameplay, and teaming up with your friends for hours of matchmaking (randomly selected teams you are connected to go up against) gameplay to test your skills. There are several modes in League of Legends that players get to choose from. These game modes are there for several purposes. These are either to practice your skills in League of Legends against bots or with your friends is several different types of styles. Others are for serious players with ranked game play that will then associate you with other teams that have similarly ranked players. These game modes all have different purposes. 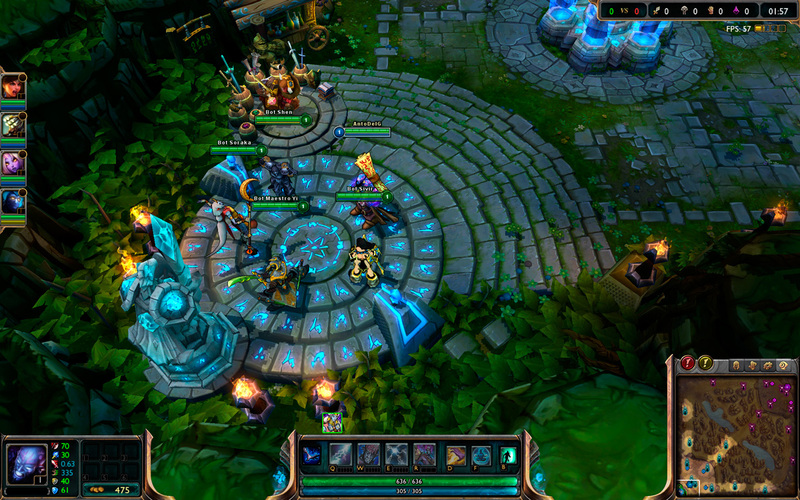 First, when you download league of legends and you start playing the game, you begin in the tutorial mode which is a set of two introductory game sessions that teach the basics of the game so you are ready to play and start learning all of the strategies with your friends or with other people. This game mode is primarily intended to help players not only learn the basics of the game, but also how to read the heads up display (HUD) and the controls in the game so you can get used to these basic components. Second, there is custom mode which allows players to create games that players manually join rather than relying on the matchmaking system in the game. Teams can be uneven while also being a mix of players and bots on either side. This game mode is the most flexible and is a good way to play with your friends to practice before playing against random people through the matchmaking system in the game. Next, there is classic mode. There are four match types in classic mode: Normal matches, Ranked matches, Co-op vs AI, and Team Builder. This mode is the most popular and intended to allow players to create games that players can manually join on your team while also using the matchmaking system to make up for the rest of your team (if it isn't completely filled) and the enemy team. Normal matches are primarily used to level up your accounts. To level up, your team must be all human players playing against other human players. You can level up to level 30, which then gives you access to ranked matches. In ranked matches, things get a bit more serious. 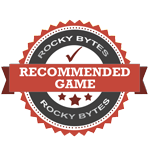 Most players by this time take the game very seriously, know the strategies, game play, and their own preferred playing styles. Ranked uses a draft pick system, and players are seeded into a League system based on the outcome of their matches. Winning or losing games influences their MMR, which is basically your ranked skill level so you can go against other teams of similar skill levels in ranked matches. The higher your MMR, the better you are considered as a player (generally speaking). Co-op vs. AI mode matches players against a team of enemy bots. This is similar to tutorial mode, which is mainly intended to help player learn how to play the game before playing against human players through the matchmaking system. Unlike a lot of multiplayer games, League of Legends encourages players to learn how to play the game and have basic knowledge of strategies before playing against other people. This makes getting into the game a lot more seamless for new players. Team Builder is a relatively new type of match system through classic mode, which is a normal classic mode queue that allows players to queue up with any champion and role of their choice, then you have the ability to build your own balanced team or join an existing balanced team. This match type intends to bring players through the Internet together that complement one another and would make up a good team without actually needing to know and communicate with the person beforehand. This encourages more cooperative game play and communication between people around the world that you wouldn't otherwise have met to play the game with, while also giving players the option of playing champions that want to play, are good at, and enjoy playing rather than being forced to play roles they do not enjoy playing and/or are not good at. Those sum on the classic mode match types. The next game mode is Dominion mode, which is a normal match played five vs five player on the map Crystal Scar, which is a single circular lane that has five neutral turrets arranged in a star pattern. The team that wins is the one that reduces the total life of the opponent team's Nexus, which can only occur if the team is controlling three or more of the neutral turrets. The next popular game mode is ARAM, which stands for All Random All Mid. This mode randomly picks champions that the players are able to play, essentially forcing them to learn new champions or play roles they might not be good at. This can be good for those willing to learn how to play all of the champions and understanding their mechanics. Players are allowed up to two re-rolls if the player is not happy with the champion they are randomly assigned. They are also allowed to trade champions with team mates that also own the champion they are using. This mode is based as a five vs five on the Howling Abyss map, which is a one lane map with each team's side having two turrets, an inhibitor, two base turrets, and a Nexus. A team can win if they destroy the enemy team's Nexus. Wait no more and download League of Legends now! Those are just the most popular game modes for League of Legends, there are quite a few more to choose from. However, the game is a much expandable and built upon version of the DotA mod for Warcraft III, which inspiration has put forth the foundation for one of the most popular games of the modern era.